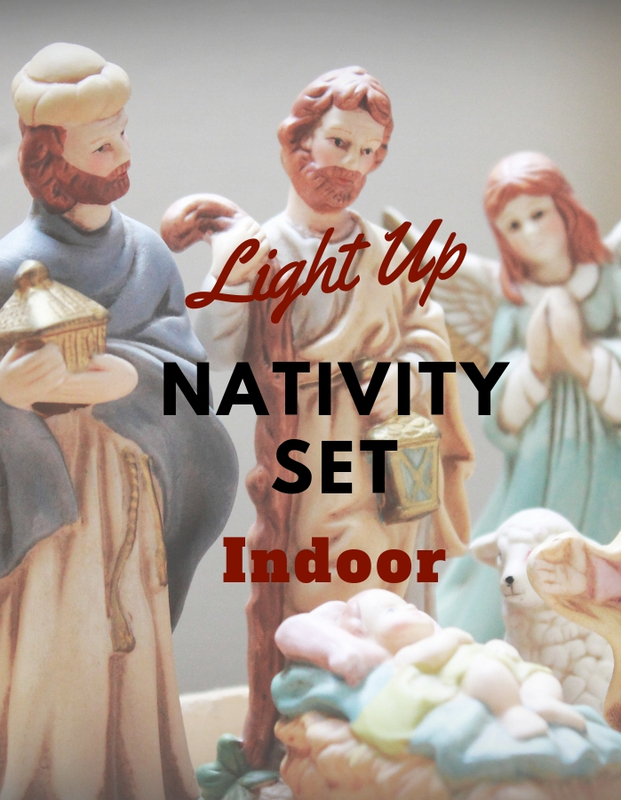 You’ll love the light up nativity set for indoor decoration during the Christmas season to make up real life of Jesus birth night scene in manger as described in the gospels of Luke and Matthew. They are suitable to be placed on fireplace mantle, tabletop or Christmas tree for elegant holiday display. They also are wonderful gift for Christian as the scene of Jesus birth night has emphasized the humility of Jesus based on Christian theology. The first two units are displaying the holy scene by comprising number of sculptures that representing main characters in the story. You can arrange the position of individual figure sculptures either inside or outside the manger sculpture. The rest of options here are presenting the holy scene with single piece. This cast resin package comes with 15 pieces life-like hand painted figurines and 1 lighted manger. The freestanding figures representing main characters in the story include newborn baby Jesus, Mary, Joseph, angle, shepherds and kings to complete the sight of the night of Jesus’ birth. Similar to the first package, this package also display the sight of the night of Jesus’ birth with life-like figures that made of cast resin. The main different is that this package has extra figures on top of the main characters. They are palm tree and chests of gold. You can place figures of Mary and Joseph on either side of the lighted manger. Shepherds stand closer to the Angel of the Lord at left side of manger while the 3 king figures are place at right side. Because Joseph is carpenter, some people like to have wooden sculpture as art object to depict the birth of Jesus. If you do not really mind about the material but yet prefer wooden vividly sculpture, this resin made display unit is ideal pick for you. This is the elegant art object comes with light and music functions. It turns to blue and plays “Joy to the World”. If you look at it closely, you’ll noticed that all characters are sculpted surrounding the term “Joy”. Infant Jesus with Mary and Joseph are inside the “O” while the angel is on top of “O”. This stunning triptych is great to add touch of festive spirit on tabletop. It features holy family in the middle and accompany by shepherd and angle at left while 3 kings at right side. You can also pick it as holiday gift to Christians that you care.